"The Arlington County Board recently approved phases four and five of the Metropolitan Park project. It calls for the redevelopment of an existing warehouse site into the single largest residential and retail high-rise in Pentagon City." "Developer Vornado Realty Trust plans to combine the two phases of the project into a 22-story building at 1200 S. Eads St. It will include 699 residential units and 40,413 square feet of retail space on the ground floor. Most of the retail space, 36,789 square feet, will be occupied by a full-service grocery store, with two smaller retail spaces located on the northwest and southeast corners of the building. The plan also calls for the construction of a four-level underground parking garage with 885 spaces. Maurice Walters Architect Inc. will design the 782,342-square-foot building. A project timeline and financial details were not released. In addition to approving the overall site plan, the Arlington County Board voted unanimously to amend the Pentagon City Phased Development Site Plan (PDSP) to increase the allowed building height and approved an amendment to the Master Transportation Plan allowing a portion of the planned 12th Road S. to be deleted. New York City-based real estate investment trust Vornado has also agreed to a number of county benefits, including a $5 million contribution to the Affordable Housing Investment Fund, a $150,000 contribution to the county’s public art fund and a $132,000 contribution to the Utility Underground Fund. Transportation improvements will be added, and the developer has committed to design and construct the building such that it can reduce energy costs by at least 18 percent and earn LEED Silver certification. 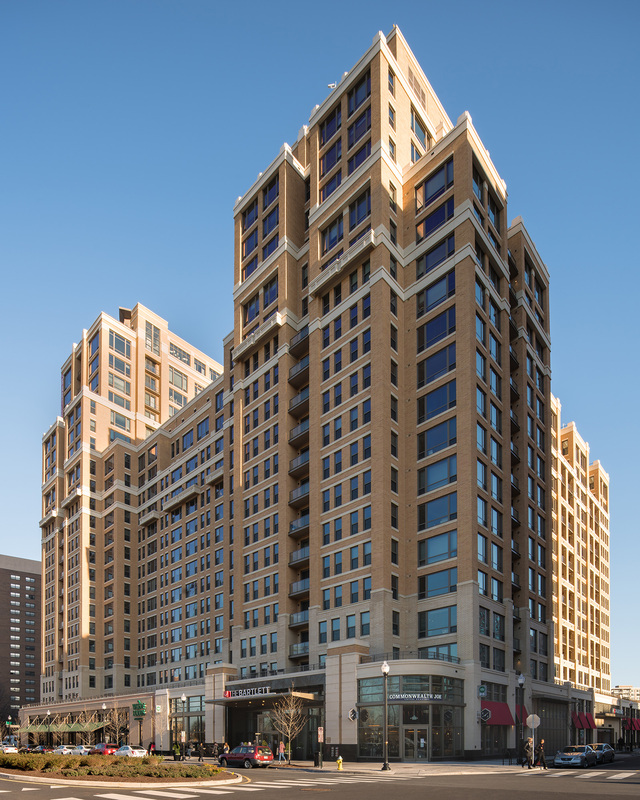 The eight-phase, 10-building Metropolitan Park development is part of the Pentagon City PDSP. It calls for the transformation of 16 acres of warehouses and parking lots into mixed-use developments. The first two phases of the project are already finished, with the third under construction. The three phases total 1,110 residential units and 35,769 square feet of retail space. 'This is an important milestone for the Metropolitan Park development, because it includes a full-service grocery store that will serve residents of the Pentagon City and Crystal City neighborhoods,” said Arlington County Board Chairman J. Walter Tejada in a statement for the press. “We are now halfway to our goal of transforming this industrial part of Pentagon City to a more walkable, transit-oriented area that offers a great mix of homes and places to shop.'"